Customized easter eggs in all bright and cheery colors (orange, red, blue, pink, green, and yellow). 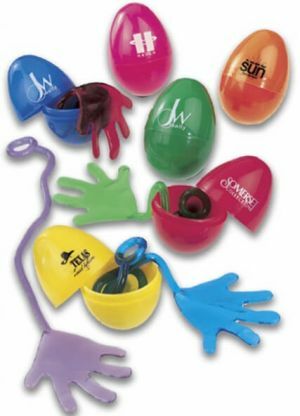 Our promotional easter eggs can either be ordered as empty printed eggs, or ordered filled with fun tacky sticky hands! 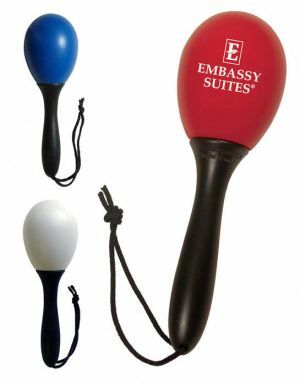 We also have other easter eggs goodies like an inflatable egg or maracas easter eggs for promotional giveaways. Every single printed easter egg can be imprinted with your logo, text, artwork, or design. Buy top quality custom plastic eggs with us at cheap wholesale prices in bulk today. Most of our wholesale easter eggs are printed and shipped out from within the USA! 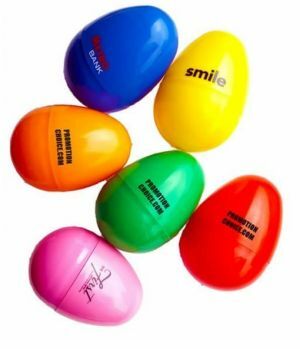 Imprinted Easter Eggs Customized for Any Promotional Campaigns. Cheap Prices. Promotional easter eggs are a sure way to grab attention at any tradeshow, event, or campaign of yours. Increase your sales with our collection of carefully selected customizable plastic easter eggs that will make your company or event so memorable. Our branded plastic easter eggs are appropriate for so many occasions and events! They are great promotional ideas and are extremely popular with many of our clients in industries such as advertising, construction, real estate, pet stores, design, restaurants, hair salons, beverage companies, etc. Your target audience and their kids will value these customized easter eggs and your brand name will always be at the top of their minds. 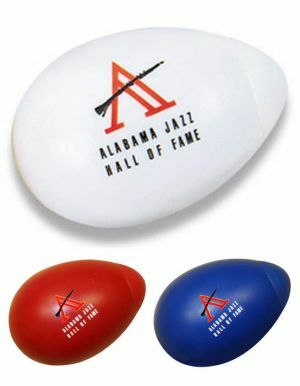 While these personalized plastic eggs are most popular during the Easter and Christmas seasons, they are ordered throughout the year for other purposes such as birthdays, weddings, bah mitzvahs, pool parties, baby showers, weddings, Valentine's day events, Halloween, and other promotional activities that require bright, cheery, and colorful plastic eggs. 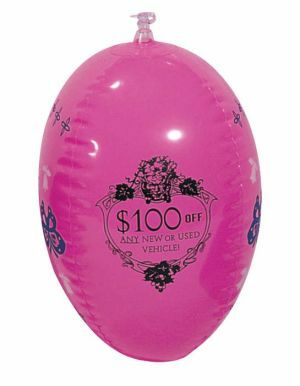 Don't forget to check out our pink inflatable easter eggs and also our custom egg cha cha or easter egg maracas noisemaker that will make your event lively and fun. Order your logo easter eggs from us today and see your brand soar! Our expert customer service reps are always ready to help you and walk you through your order from start to finish. You will be delighted with our personalized plastic easter eggs. 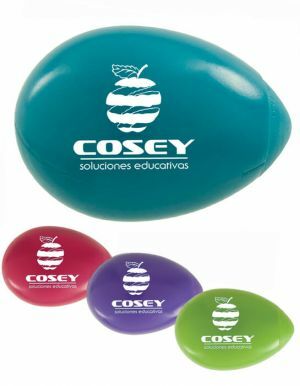 Order worry free today - great quality print plastic eggs at cheap prices - and see your brand name take off!